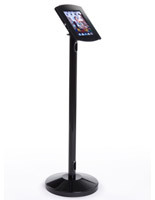 This floor standing iPad mount holds Apple® generations 2, 3, 4, & Air devices designed for interactive store presentations and customer surfing. 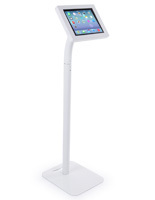 Quality steel tablet holders with cable management keep the kiosk professional and neat looking. 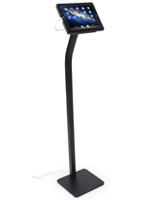 This iPad mount mount, also known as tablet holder systems, has a stable base that holds up to large crowds. 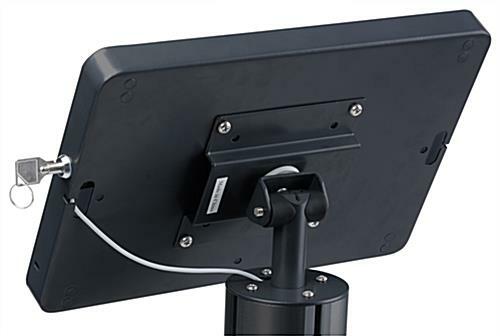 This enclosure has a sleek, black finish that looks great in all kinds of decor. 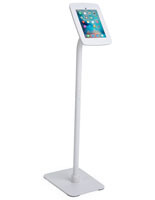 The case locks to keep company data safe, while still permitting customers to browse. 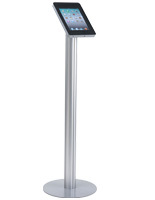 This point of sale mount, like a touchscreen kiosk, is steel-built to stand up to years of use.